Steve’s breakdown: Jamba Juice, with 800 locations, just brought on an ex-advertising exec as CMO. Jamba has not had an AOR since Zimmerman so we think this is the perfect time to make the introductions and be next. FRISCO, TX: Jamba Inc., parent of Jamba Juice Co., has named Claudia Schaefer its chief marketing officer effective Nov. 6, 2017. Most recently the CMO at Cheddar’s Scratch Kitchen, and before that holding leadership positions at Brinker International and TGI Fridays, Schaefer will report to president and CEO Dave Pace and will be responsible for global marketing, consumer insights, public relations, product innovation and research & development, according to a release announcing Schaefer’s appointment. Schaefer is replacing Rachel Phillips-Luther, who Jamba said had left to pursue other interests. Prior to entering foodservice, Schaefer spent nine years at advertising agencies including Leo Burnett, Tracy-Locke and Moroch and associates. In the release, Jamba credited Schaefer with helping turn around Cheddar’s, which was then sold to Darden Restaurants Inc. earlier this year. 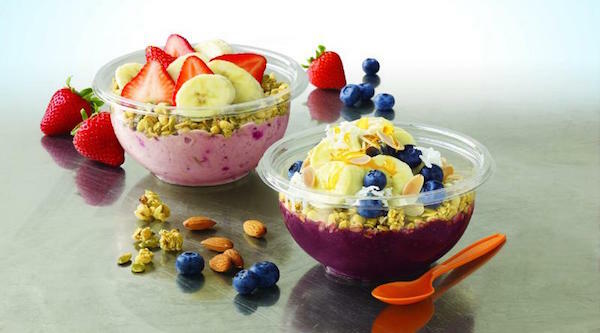 Frisco, Texas-based Jamba, Inc., through its wholly-owned subsidiary Jamba Juice Co., has more than 800 locations worldwide, including 69 company-owned and 770-franchise locations in the U.S. as of the end of 2016.